If you are buying a TV today, there are two broad types of displays you’ll find at a showroom. The first is LCD and the second, OLED (organic light emitting diode). OLED TVs offer the best contrast, movement and overall picture quality, but at a cost. 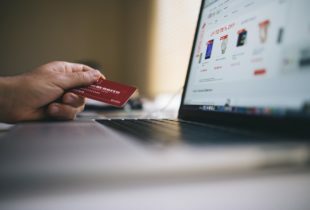 Most consumers will go for more affordable TVs using LCD technology that can still deliver excellent. However, there are many types of LCD TVs, which often stump consumers. Among the dozens of models, which is the best LCD I can buy in terms of picture quality? How do I differentiate it from other cheaper LCDs? Not all LCD TVs are the same, clearly. The best ones today provide natural colour, great contrast and excellent brightness. If that’s what you are looking for, the one buzzword to remember is Nano Cell. This is LG’s latest innovation that brings unparalleled colour accuracy to LCD TVs. Simply put, it is the most advanced LCD TV technology if you seek great image quality that wasn’t possible in the past. LG’s Nano Cell technology is built on a breakthrough innovation called Quantum dot, which was first seen in TVs a few years ago. Quantum dot relies on billions of small dots or particles on a type of filter that is placed in a TV. By shining light on variably-sized dots, the TV could more accurately depict the colour reflected by the dot. They also have a much wider colour gamut, so you see a more life-like picture that pops out at you. Different TV makers call the Quantum dot technology by various names. Essentially, though, they are all LCD TVs that use advanced know-how to get the best colour and image out. This year, LG has gone further with its Nano Cell technology, an upgrade over previous Quantum dot technologies. It uses particles of the same one-nanometre size, instead of the different sizes of the past, to deliver subtler and more accurate colours, even when viewed from the sides. At the same time, the nano particles absorb excess light wavelengths, so green will be green, and not “bleed” into blue, for example. In other words, much improved colour accuracy. This way, you can enjoy a high-quality image even if you are not seated in the ideal centre of the screen. You can be up to 60 degrees off-centre and still enjoy a movie without the dreaded colour fading or warping that usually occurs on older TVs. 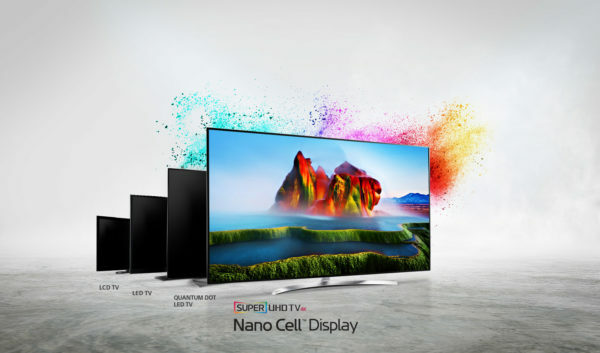 LG’s latest Super UHD 4K TVs come with Nano Cell technology to bring the best-in-class image quality in today’s LCD or LED TVs. The SJ950T, SJ850T and SJ800T TVs, ranging from 49 to 65 inches, now deliver superior performance for users with a discerning eye. Especially for those who seek a large screen with good quality, the new range showcases the most advanced capabilities that LCD offers today. It is also a testament to how far LCD TVs have come with continuous innovation. For a balance of price, quality and screen size, the LG Nano Cell range today is the TV to look to. Besides Nano Cell, LG has also introduced Dolby Vision, the premium version of HDR (high dynamic range) that enables greater contrast and more vibrant colours on supported content, such as shows on Netflix. And don’t just stop there, of course. A picture is worth a thousand words, sure, but it can be even more interesting if you boost the sound quality to go with a great screen. LG’s range of Super UHD 4K TVs with Nano Cell technology all come with Harman Kardon audio. However, for those who wish to boost the sound experience to something more than L-R stereo, LG also offers Dolby Atmos Speaker Bar, the SJ9. So, the TV and sound bar together would offer a comprehensive Dolby experience, creating a mini cinema in the comfort of your home. With 4K content now readily available on streaming service and with the immersive sound, you’ll find that watching movies and TV shows at home will be on a whole new level. For this, LG now has package deals for its Super UHD 4K TV and speaker bar that offer the complete Dolby experience. Find out more about LG’s Nano Cell-enabled TVs and audio options at the LG Singapore website. Look out for great bundle deals during the LG Red Fair, from Dec 1, 2o17 to February 15, 2018.